I have to tell you all about my new love. Soap nuts. For laundry, they are becoming practically mainstream, but did you know that there are even more uses for them? Soap nuts have the ability to serve your home from the moment they arrive in their little recyclable cardboard box to the moment they are composting for your garden. Soap nuts are actually berry shells. The shell contains a natural soap called saponin. Due to they way that saponin cleans, it is perfect for those that have sensitive skin, eczema or psoriasis since it is so gentle. They can be used for all laundry (hand washed, commercial machine, standard washer, and HE) and they’re safe for grey water. Soap nuts are usually used for the laundry. Even non-crunchy consumers are using them because they get clothes clean without artificial scents and harsh chemicals. Do you cloth diaper? Soap nuts are great for dipes. My youngest has a very sensitive backside. I have used every product and wash routine possible and yet he has a constant redness in the diaper area. Although it doesn’t bother him, it bothers me as his mom who should be able to make it all better. I switched to soap nuts and the redness is gone. It also cut some steps from my wash routine. With commercial and homemade cloth diaper detergents, I would do a full cold cycle to remove solids, wash on hot with detergent, then rinse twice in cold using full cycles again (to remove any trace of residual detergent). Talk about no longer being green. My eco-friendly diapers took 2 hours and endless gallons of water to wash. When I switched to soap nuts I decided to try following their diaper-specific instructions. It works!!! My diapers are cleaner than ever before, they smell like nothing (a smell I prefer) and they absorb fluids like they were brand new. The best part is that there is no redness in my little guy’s diaper area. Now if it can do that for diapers, imagine how well it cleans your regular laundry. To use soap nuts, place the nuts in the muslin bag provided in the box (you’ll get two of them). Toss it in the washing machine and wash as usual. Do you wash in cold? Soap nuts need warm water to activate the saponin. Stick your soap nuts and muslin bag in a mason jar of hot water, shake for a minute and let it rest while you separate laundry. By the time your clothes are in the wash and the washer is filling with cold water, your soap nuts will be ready to go. Just dump the water and bag of nuts in the wash like a detergent. Soap nuts have the ability to serve your home from the moment they arrive in their recyclable cardboard box to the moment they’re compost for your gardens. I use the same bag of soap nuts four times for laundry before rotating them out. Don’t worry though, their life is far from over. When I am done using them in laundry I just pop them into a mason jar for safe keeping. Once I have a dozen or so I make shampoo/body wash.
To make shampoo/body wash (it’s gentle enough for both), place 10-12 used soap nuts into a muslin bag. Place in a medium sauce pan with 4 cups of water and bring to a boil. Simmer for 20 minutes. Add another 2 cups of water and simmer for 10 minutes more. Remove from heat and let the water cool. Once cool, squeeze the bag to get all the suds out. Store in an airtight container in the fridge. It will last about a month in the fridge. If you don’t think you can use it all in that time, either reduce the recipe or freeze in an ice cube tray and thaw as needed. To use soap nut shampoo, massage into your hair, let it sit for 5 minute and then rinse. There is no lather (commercial shampoos add foaming agents), but I promise it’s working. To use as a body wash, just massage on and rinse off. So you’ve done laundry and made some shampoo and body wash, but these soap nuts aren’t done yet. You can still make some household all-purpose cleaner. Just as you did with the shampoo, take 15 used soap nuts and place them in a muslin bag (you can squish them in if need be or use an old sock if your bag isn’t big enough). Place in a sauce pan with 6 cups of filtered water. Bring to a boil and then reduce heat to a simmer. Simmer for 1 hour. Allow the liquid to cool and then remove the bag of soap nuts. Squeeze to get out every bit of soap. Now you have a great all-purpose cleaner. Store in the fridge for a month or sprinkle in a 1/2 tsp. of citric acid to preserve it for longer. If you feel your cleaner needs a little “boost” or you want to use it as a window cleaner, you can safely add vinegar, rubbing alcohol, or essential oils. Your clothes are clean, you’re clean, and your house is clean. These soap nuts have worked hard, but they still have one more way to help contribute to your green agenda. Soap nuts are compostable. When they have no life left, just toss them in your compost bin. If you want to give these miracle nuts a try, here is a great sample pack to try out. Ready to go all-in? This box does 100 loads PLUS all the other great stuff I talked about today. You can also get more information by visiting Eco Nuts. 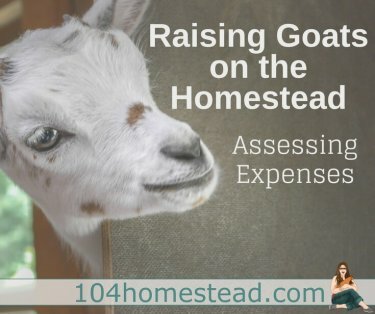 Home » Homestead Living » Nuts About Soap Nuts: Laundry, DIY Cleaner & More! Thank you Marilyn! I think you’re really going to love the soap nuts. 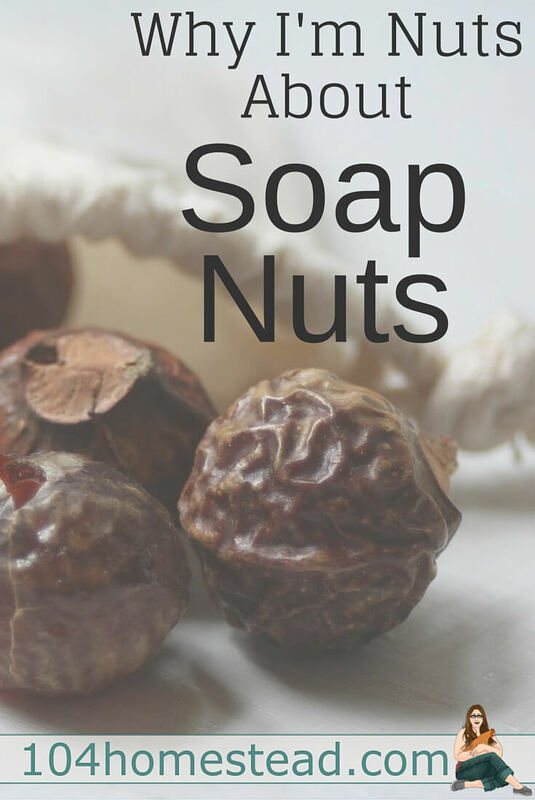 Just wondering….the title of this post is nuts for soap nuts but you also have a post that speaks highly of your home made laundry soap. My question is which do you prefer? Both? LOL. I know that’s not helpful. We alternate depending on what we’re washing. For our general laundry needs I prefer the soap nuts. They are more eco-friendly and they take care of regular grime and dirt. I still use my homemade detergent when it’s a “big guns” situation such as muddy boy clothes, cleaning rags, etc. Could I use the soap nut shampoo/body wash as a cloth wipe solution? I’d planned on throwing them in a wipe warmer and making a solution for it but would love to use my soap nut remnants! Absolutely! I have used them for baby wipes as well. Most babies don’t require a rinsing wipe, but just watch his/her bum until you know for sure. Hello, trying this as a shampoo and face cleasner seems awersome and I’ll definitely give it a try! However, I just wanted to know : if i can’t put the soap nuts shampoo in the fridge, how many days/weeks would it last ? I’m not really sure since I haven’t tried it. I think if you kept it out of sunlight, you should get a month or so from it. You can tell by looking when it’s no longer good. It gets a film on the surface. Some natural food stores/health stores offer it locally, but they can be hard to come by. I get mine from Amazon. Where do you get soap nuts??? I knew about using them in the laundry but not for body wash and shampoo. That is super cool! Oh I promise they are! I actually plan on doing a second edition “soap nuts” post. I was going to do it all in one, but didn’t want to overwhelm people with the awesomeness!